JoshWDesign is a one-man show. I use my fine art training and facility with HTML and CSS to create attractive, effective websites to help your business achieve a successful online presence. 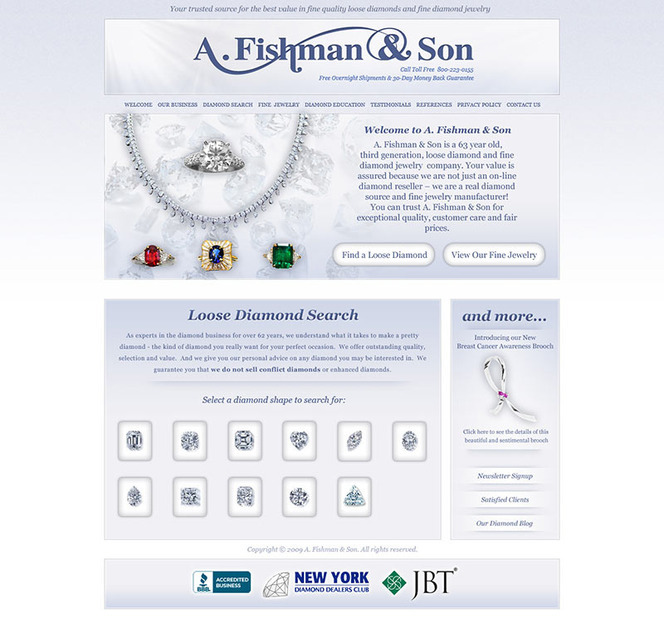 Diamond dealer website in NYC.